Caesars Interactive Entertainment New Jersey, LLC, a New Jersey limited liability company, with offices at 2100 Pacific Avenue, Atlantic City, NJ 08401 (the “Company” or “We“) is the operator of the website domain www.HarrahsCasino.com (the “Website“). 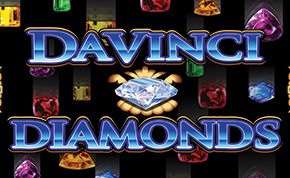 The Company is licensed and regulated by the New Jersey Casino Control Commission (“CCC”) and the New Jersey Division of Gaming Enforcement (“NJDGE”) for the purposes of operating and offering real-money Internet-based or mobile application-based interactive gaming services (hereinafter referred to as the “Gambling Services” or “Services”). When You (hereinafter referred to as the “End User” or “user” or “You”) use the Website, or Services, these Terms of Service (hereinafter referred to as the “Terms of Service” or “Agreement“) shall apply to such use. 1.2 The Company operates the Website and offers the Services under an Internet Gaming Permit issued by the NJDGE. All Gambling Services transactions between You and the Company must take place in New Jersey. 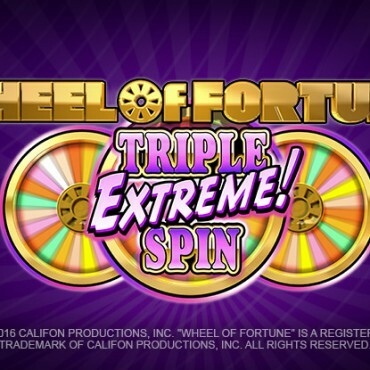 1.3 The software offered by the Company’s licensor, which is made available in non-downloadable form (the “Software“), allows You to use the Gambling Services currently available via the Website. The Company reserves the right to suspend, modify, remove or add to the Services or Software in its sole discretion, subject to any statute, regulations or direction from the NJDGE with immediate effect and without notice. The Company shall not be liable for any loss suffered by You resulting from any changes made and You shall have no claims against the Company in such regard. 1.4 In respect to your use of the Services, You may only have one account with each specific brand operated by the Company for which You will register using your own legal name. You shall access the Software and use the Services only via your own account, You may never access the Software or use the Services by means of another person’s account. Should You attempt to open more than one account, under your own name or under any other name, or should You attempt to use the Services by means of any other person’s account, We will be entitled to block your account pending investigation, and/or notify the proper authorities of the suspected activity, which may result in the closure of all your accounts, and You being barred from future use of the Services. 2.1 IF YOU DO NOT AGREE TO ANY OF THE PROVISIONS OF THIS AGREEMENT YOU SHOULD IMMEDIATELY STOP USING THE SOFTWARE AND REMOVE THE SOFTWARE FROM YOUR COMPUTER AND/OR ANY OTHER APPLICABLE DEVICE. BY REGISTERING WITH US, USING THE SOFTWARE OR LOGGING ONTO THE WEBSITE, YOU EXPRESSLY CONSENT TO THE TERMS OF THIS AGREEMENT. 3.2 You acknowledge that You will be physically within the State of New Jersey during any time of play and You will comply with our requirements in connection with verifying your physical location at time of play. 3.3 We may verify the location of the device on which You are accessing the Services (the “Device Location Service”). The Device Location Service relies on WiFi or GPS signals to determine the geographic location of the device on which You are accessing the Gaming Services. Your device must have WiFi or GPS capability. 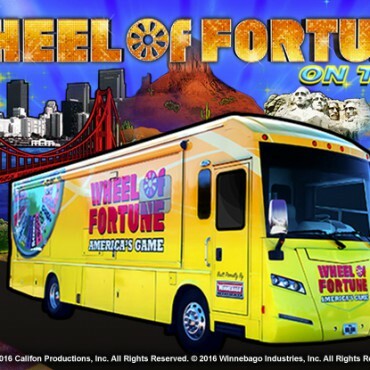 You will not be able to play for real money on the Gaming Services from a device that does not have WiFi or GPS capability, or on which the WiFi or GPS (as applicable) has been disabled. 4.1 No one under the age of 21 (individuals 21 or older referred to herein as “Legally of Age“) may use the Software or use the Services under any circumstances and any person not Legally of Age who uses the Software or uses the Services will be in breach of the terms of this Agreement and the laws of the State of New Jersey. It is a criminal offense to allow a person who is not Legally of Age to participate in Internet wagering. Anyone who facilitates someone not Legally of Age to use the Services has committed a criminal offense and shall be prohibited from using the Services. The Company reserves the right to request proof of age at any stage, to verify that persons not Legally of Age are not using the Services. The Company may terminate a person’s account and exclude a person from using the Software or the Services if proof of age is not provided or if the Company suspects that a person using the Software or the Services is not Legally of Age. Any initial deposits made by a player in such account shall be returned within 60 business days of cancellation, subject to NJDGE approval. The Company reserves its discretion with respect to refund of any Bonuses or winning funds provided to or gained by the player. 4.2 You hereby explicitly consent that We may verify your registration details, such as your name, physical address where You reside, your date of birth and social security number, and your passport identification (for non US residents) to confirm that You are Legally of Age. We reserve the right to verify that You have not been previously self-excluded with the Company, the NJDGE and any casino or any program offered by a governmental agency and otherwise remain on the Company’s self-exclusion list. By requesting certain documents, We reserve the right to verify your information, including your e-mail address and payment methods used, at any time. Requested documents shall include, but are not limited to, (a) an identity card such as a valid passport, (b) proof of address such as a utility bill, and (c) proof of payment method, and can be uploaded through the Website’s Cashier. In Company’s sole discretion, We may request notarized document copies, meaning the documents must be stamped and attested to by a Notary Public. In the event our request for documents is not completed by You to the Company’s satisfaction, the Company will terminate the account and withhold any funds that are present therein. Any initial deposit funds in such account shall be returned within 7 business days of cancellation. Company reserves its discretion with respect to the refund of any Bonuses or winning funds provided to or gained by the player. Should the documents fail our internal security check (for example, if We suspect that the documents have been tampered with, or are in any way provided to mislead or misrepresent), Company shall be under no obligation to accept such documents as valid, and shall be under no obligation to provide feedback on the exact nature of our findings with regards to the documents. 4.3 You hereby explicitly consent to the Company performing background checks on any user and request any relevant documentation for any reason, including, but not limited to, any investigation into the identity of the user, any credit checks performed on the member, or any inquiries into the member’s personal history. The basis for such investigations will be dependent on the specific case, but could include, but is not limited to, verification of the user’s registration details, such as the name, address and age, verification of the user’s financial transactions, financial standing and/or gaming activity. The Company shall be under no obligation to advise the user of such an investigation taking place. Such activities may include the use of specific third party companies who perform the investigations as required. The Company may decide, in its sole discretion, to terminate a user’s account, and withhold all funds, on the basis that such an investigation provides a negative or uncertain conclusion. 4.4 “Key employees” and other Company employees prohibited from wagering in any casino or simulcasting facility in New Jersey are prohibited from using the Services or creating an account with the Company. 4.5 All employees, consultants, directors, officers, agents of Company and its affiliated entities shall comply with the Human Resources policies of the Company prior to any use of Services. 5.1 The Company hereby grants You the non-exclusive, non-transferable, non-sub-licensable right to use the Software and all content derived from the Software, including, but not limited to, the copyright and all other intellectual property rights therein, in connection with the Services in accordance with this Agreement. The Software’s code, structure and organization are protected by intellectual property rights. You must not: (a) copy, redistribute, publish, reverse engineer, decompile, disassemble, modify, translate or make any attempt to access the source code to create derivate works of the source code, or otherwise; (b) sell, assign, sublicense, transfer, distribute, lease or grant a security interest in the Software; (c) make the Software available to any third party through a computer network or otherwise; (d) export the Software to any country (whether by physical or electronic means); (e) collect, compile, aggregate, display, market, sell or otherwise distribute data or statistics obtained from the Services or Software; or (f) use the Software in a manner prohibited by applicable laws, regulations and/or this Agreement (together the “Prohibited Activities“). 5.2 The brand names relating to the Website and Services including, but not limited to, “WORLD SERIES OF POKER”, “WSOP”, “wsop.com”, “Harrahs”, www.harrahscasino.com, and any other trademarks, service marks, trade names, domain names and logos used by the Company are owned by the Company, its affiliated entities, or its licensors with respect to the Services regardless of the platform (hereinafter referred to as the “Trademarks“) and the Company, its affiliated entities and licensors (as applicable) reserve all rights to such Trademarks. End User shall not use the Trademarks, or any confusingly similar marks except as expressly permitted herein. 5.3 In addition to the rights to its Trademarks, the Company or one of its affiliated entities and/or its licensors and/or its service providers own the rights in all other content including, but not limited to, the Software, games, images, pictures, graphics, photographs, animations, videos, music, audio and text available via the Software or on the Website or in connection with the Services (the “Site Content“). The Site Content is protected by copyright and/or other intellectual property rights. The End User shall not modify any of the Site Content and shall not copy, distribute, transmit, display, perform, reproduce, publish, license, create derivative works from, transfer or sell any Site Content or information or work contained in the Software or on the Website or used in connection with the Services, except as expressly permitted herein. 5.6 Notice and Procedure for Making Claims of Copyright or Intellectual Property Infringement. 6.2 All details provided by You to the Company either during the registration process or at any time thereafter, including as part of any payment deposit transaction are true, current, correct, complete and match the full name(s) on the credit/debit card(s) or other payment accounts including payment via the automatic clearing house (ACH online check transfers) or commonly referred to as “E-Checks” to be used to deposit or receive funds in your account. You shall ensure that funds deposited into an interactive gaming account from a financial institution shall not be transferred out of the interactive gaming account to a different financial institution and ensure You have sufficient available funds prior to conducting any wagering activities. The Company does not extend credit to any player for any reason for wagering or playing or any related activities on the Website. You will promptly notify us of any changes to details previously provided by You to the Company. From time to time You may be requested to provide us with certain documents to verify the details of the credit card used by You to deposit money to your account. Depending on the outcome of these verification checks You may or may not be permitted to deposit further monies with the credit card previously used by You. Should any of the information that You provide to us be untrue, inaccurate, misleading or otherwise incomplete, You will be in breach of this Agreement and We reserve the right to terminate your account immediately and/or prevent You from using the Software or the Services, in addition to any other action that We may choose to take. You shall not transfer any funds to any other player or account holder. 6.4 As the End User, You are responsible for the security of your username and password on your own computer and any device on which the Software is or may be accessible including an internet access location. If this username password combination is “hacked” from your computer, due to any virus or malware that may be present on the computer that You access your account with, this is your responsibility. You should report any possible hacking attempts or security breaches from your computer terminal immediately to the Company. It is the End User’s responsibility to configure your client terminal’s auto lock feature to protect your client terminal from unauthorised use. 6.5 As the End User, You have verified and determined that your use of the Services does not violate any laws or regulations of any jurisdiction. You fully understand the methods, rules and procedures of the Services and Internet gambling in general. You understand that it is your responsibility to ensure the details of bets and games are correct. You will not commit any acts or display any conduct that damages the reputation of the Company. 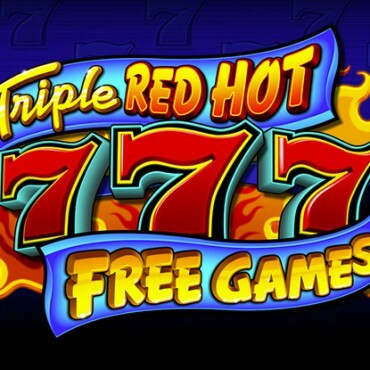 6.6 As the End User, You are fully aware that there is a risk of losing money when gambling by means of the Services and You are fully responsible for any such loss. You agree that your use of the Services is at your sole option, discretion and risk. In relation to any loss, You shall have no claims whatsoever against the Company or any company within the same group of companies as the Company or their respective directors, officers, employees, service providers, agents, or any affiliates of any of the foregoing. 6.8 You acknowledge that the Software includes features provided by third parties which may be installed on your device as part of the Software and which may be automatically updated from time to time. Amongst others, such features may access your hand history which is stored on your own device, for the purpose of providing You with certain promotions and notifications. You may elect not to enable recording of your hand history or to uninstall the feature. 6.9 As the End User, You agree to use the Website, Services and Software in complete accordance with the terms and conditions of this Agreement and each of the Additional Rules, as amended from time to time, and shall abide by all rules and instructions for playing the games that comprise the Services. 6.10 You are solely responsible for all taxes and tax reporting to any relevant governmental, taxation or other authority on any winnings paid to You by the Company or any other related or affiliated entity, subject to applicable local, state and/or federal tax regulations. 6.11 As the End User, You are solely responsible for any telecommunication network and Internet access services and costs, other consents and permissions required in connection with your use of the Software and the Services. In case of any disconnection or interference with the connection or any alteration to your system made by You, the Company may not guarantee that the Software shall recall your exact status prior to the disconnection event. 6.12 As the End User, You shall use the Services and the Software only in good faith towards both the Company and the other players using the Services. In the event that the Company deems You have been using the Services or the Software in violation of any applicable law and/or to cause direct or indirect harm or injury to the Company or any user of the Services, the Company shall have the right, subject to any applicable law, to terminate your account with the Services and any other accounts You may hold with the Company and the Company shall be entitled to retain all monies therein. You hereby expressly waive any future claims against the Company in such regard, subject to any applicable laws. 7.1 Illegal Funds and Unlawful Activities: As the End User, You declare that the source of funds used by You for gambling on the Website is not illegal and that You will not use the Services in any way as a money transfer system. You will not use the Services for any unlawful or fraudulent activity or prohibited transaction (including money laundering) under U.S Federal laws and/or the laws of the State of New Jersey, the Regulations of the NJDGE and/or any directives or instructions of the NJDGE. If the Company has a suspicion that You may be engaging in or have engaged in fraudulent, unlawful or improper activity including, without limitation, money laundering activities, or conduct otherwise in violation of this Agreement, your access to the Services may be terminated immediately and/or your account blocked. We are under no obligation to accept any explanation provided by You as to the receipt of fraudulent funds. If your account is terminated or blocked in such circumstances, the Company is under no obligation to refund You any funds that may be in your account, subject to approval of the NJDGE. In addition to terminating your access to the Services and/or blocking your account, the Company reserves the right to prevent You from accessing any of the Company’s other websites or servers, or accessing any other services offered by the Company. The Company shall be entitled to inform relevant authorities, other online service providers and banks, credit card companies, electronic payment providers or other financial institutions (together “Interested Third Parties“) of your identity and of any suspected unlawful, fraudulent or improper activity. In the interests of fair play it is prohibited to utilize any recognized betting techniques to circumvent the standard house edge in our games. If the game play on your account indicates that You are using such betting techniques We shall immediately block the account and retain any funds in said account. Furthermore, You may be placed on the NJDGE’s exclusion list. As the End User, You agree to cooperate fully with the Company to investigate any and all such activity. 7.2 Circumvention: We have developed and employ sophisticated proprietary technology intended to seek out and identify users making fraudulent or unlawful use of the Services or Software. You shall not break into, access or attempt to break into or access or otherwise circumvent the Company’s security measures. If the Company believes, in its sole discretion, that You are in breach of this clause, the Company may terminate your access to the Services immediately and/or have your account terminated or blocked, pending investigation, and/or notify the proper authorities of the suspected activity, which may result in the closure of all your accounts, and You being barred from future use of the Services. The Company reserves the right to inform Interested Third Parties of your breach. If your account is terminated or blocked in such circumstances, the Company is under no obligation to refund You any of the funds that may be in your account, with such funds being forfeited, subject to NJDGE approval. In addition to terminating your access to the Services and/or blocking your account, the Company reserves the right to prevent You from accessing any of the Company’s other websites or servers, or accessing any other properties or services offered by the Company. 7.3 Software Aids: The use of any automated tool which in the Company’s opinion is designed among other things to provide assistance in betting decisions, to exchange the opponents’ hand histories, to enable You to find a seat on a poker table, to automatically seat You at a poker table or which is used in any way in connection with your use of the Services is strictly prohibited. Therefore, the use of any software program, tool or robot or any external devices, programs or applications (hereinafter referred to as “ Software Aid“) in connection with your use of the Services is strictly prohibited. We constantly review the use of the Services in order to detect the use of Software Aids and in the event that We deem it has been used, Company reserves the right to take any action We deem fit, including immediately blocking access to the Services to the offending user and terminating such user’s account. If your account is terminated or blocked in such circumstances, the Company is under no obligation to refund You any of the funds that may be in your account, with such funds being forfeited, subject to NJDGE approval. In addition to terminating your access to the Services and/or blocking your account, the Company reserves the right to prevent You from accessing any of the Company’s other websites or servers, or accessing any other properties or services offered by the Company. 7.4 Intentional Disconnection: You may not intentionally disconnect from a game while playing on the Website. If, in the Company’s sole discretion, You are in breach of this clause, the Company may terminate your access to the Services immediately and/or have your account blocked. The Company shall be under no obligation to refund You any monies that may be in your account, with such funds being forfeited, subject to NJDGE approval. In addition to terminating your access to the Services and/or blocking your account, the Company reserves the right to prevent You from accessing any of the Company’s other websites or servers, or accessing any other properties or services offered by the Company. 7.5 If We have reason to suspect that an account or group of accounts are operating systematically in order to gain an advantage over another player or to commit an act in bad faith in relation to other players or the Company – for example employing specific wagering techniques to disadvantage other players or wagering as a group, the Company shall have the right to block or terminate all accounts and in such circumstances, the Company shall be under no obligation to refund You any funds that may be in your account, with such funds being forfeited, subject to NJDGE approval. 7.6 The Company will not provide any information to You with regards to investigations or any subsequent outcome which it conducts into your use of the Services. 8.4 If You do not ‘log on’ to your account by either inserting your account name and password or directly through a link sent by the Company for any period of twelve consecutive months, your Account will be considered a “dormant account” and we reserve the right to notify you that you have not logged into to your account for such time. If you do not log onto to your account by either inserting your account name and password or directly through a link sent by the Company for any period of twenty for consecutive months any funds remaining on deposit and any pending wagers shall be forfeited by You and we shall terminate your account. 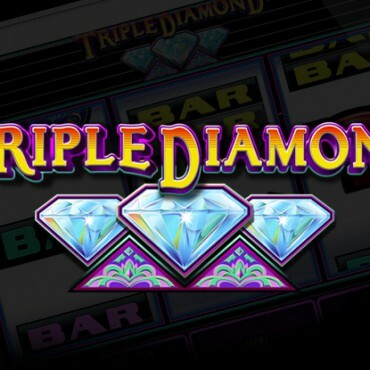 8.7 Where the Software uses a third party application interface, not all the information relating to your past gambling activities will be displayed online. 8.8 If You have a child who is not Legally of Age, You must take special care to ensure that they do not access the Services via your devices. 9.3 In the case of suspected or fraudulent payment, including use of stolen credit cards, or any other fraudulent activity (including any charge-back or other reversal of a payment or dispute or fraud relating to ACH/e-checks), Company reserves the right to block or terminate a user’s account, reverse any pay-out made and recover any winnings. Company shall be entitled to inform any relevant authorities or entities (including credit reference agencies) of any payment fraud or otherwise unlawful activity, and may employ collection services to recover payments. However, under no circumstances shall the Company be liable for any unauthorized use of credit cards, irrespective of whether or not the credit cards were reported stolen. 9.5 We reserve the right to charge You fees for handling your deposits and withdrawals to and from your account as may be detailed in the “Cashier” from time to time. 10.1 All promotions, bonuses or special offers are subject to the Company’s Bonus Policy published on the Website https://www.harrahscasino.com/policies/bonuspolicy/ and promotion-specific terms and conditions if applicable, and any bonus credited to your account must be used in adherence with such terms and conditions. We reserve the right to withdraw or amend any promotion, bonus or special offer at any time. 10.2 In the event that the Company believes a user of the Service is abusing or attempting to abuse a bonus or other promotion, or is likely to benefit through abuse or lack of good faith from a gambling policy adopted by the Company, then the Company may, at its sole discretion, deny, withhold or withdraw from any user any bonus, offer or promotion, or rescind any policy with respect to that user, either temporarily or permanently, or terminate that user’s access to the Services and/or block that user’s account. 10.4 In the event that the Company deems in its sole discretion that You have been taking unfair advantage of the Company’s bonuses or have executed any other act in bad faith in relation to a bonus promotion offered on the Website or on any other sites owned and/or operated by the Company, the Company shall have the right to block or terminate your accounts with the Company and in such circumstances, the Company shall be under no obligation to refund You any bonus funds or winnings that may be in your accounts according to applicable regulation. 10.5 A players account is made up of both Available Funds (those that can be used in any applicable game or withdrawn subject to the Withdrawal Policy) and Restricted Funds (the total of bonus funds that have not yet met the wagering requirement and any winnings associated with such bonus funds). If you have both Available Funds and Restricted Funds in your account, the next wager you make will use Restricted Funds first. Available Funds will only be used once your Restricted Funds balance is zero. 11.3 The Company has no obligation to maintain account names or passwords. If You misplace, forget or lose your account name or password because of anything other than the Company’s negligence, the Company shall not be liable. - 12.1.3.1 Company, in its sole discretion, may apply to courts having jurisdiction in the matter to obtain an injunction to prevent disclosure of its confidential information. - 12.1.3.2 In relation to any and all disputes between users, You accept and agree that a random number generator will determine the randomly generated events required in connection with the Services and where the result shown on the Software (as operated by your hardware) conflicts with the result shown on our server, the result shown on our server shall in all circumstances take precedence. You understand and agree that the Company records shall be the final authority in determining the terms of your use of the Services and the Company is not required to consider any dispute You may have with regard to the Company’s decisions in such matters. This provision does not prejudice any rights or remedies You may have at law or in equity. 12.1.4 This provision does not prejudice any rights or remedies You may have at law or in equity. You hereby consent to the jurisdiction of the State of New Jersey to resolve any disputes arising out of the Gambling Services in such case the hearing shall become public. In relation to any and all disputes between users and the Company, You accept and agree that random number generator will determine the randomly generated events required in connection with the Services and where the result shown on the Software (as operated by your hardware) conflicts with the result shown on our server, the result shown on our server shall in all circumstances take precedence. You understand and agree that (without prejudice to your other rights and remedies) the Company records shall be the final authority in determining the terms of your use of the Services and You shall have no right to dispute the Company’s decisions in regard to such matters. 12.3.1 All claims or disputes should be raised with the customer service department at njsupport@HarrahsCasino.com, and the Company shall respond to the user. 12.3.2 In the event that You have exhausted all reasonable means in resolving a complaint which You may have in relation to the Services, You may utilize the NJDGE’s Internet Dispute Form. For more information, please see here. 12.3.3 You agree to provide the Company with all the relevant information or evidence which the Company reasonably requires to review your claim or dispute. 12.3.4 You hereby consent to the jurisdiction of the State of New Jersey to resolve any disputes arising out of the Gambling Services or use of the Website. 13.1 THE SERVICES AND THE SOFTWARE ARE PROVIDED “AS IS”. THE COMPANY MAKES NO WARRANTY OR REPRESENTATION, WHETHER EXPRESS OR IMPLIED (WHETHER BY LAW, STATUTE OR OTHERWISE) INCLUDING, BUT NOT LIMITED TO, IMPLIED WARRANTIES AND CONDITIONS OF MERCHANTABILITY, SATISFACTORY QUALITY, FITNESS FOR A PARTICULAR PURPOSE, COMPLETENESS OR ACCURACY OF THE SERVICES OR THE SOFTWARE OR INFRINGEMENT OF APPLICABLE LAWS AND REGULATIONS. THE ENTIRE RISK AS TO THE USE, QUALITY AND PERFORMANCE OF THE SOFTWARE LIES WITH YOU. 13.3 A MALFUNCTION VOIDS ALL PAYS. IN THE EVENT OF SYSTEMS OR COMMUNICATIONS ERRORS OR MALFUNCTIONS, BUGS OR VIRUSES RELATING TO ACCOUNT SETTLEMENT OR OTHER ELEMENTS OF THE SERVICES OR RESULTING IN LOSS OF DATA OR WINNINGS OR BONUSES OR ANYTHING ANALOGOUS THERETO BY YOU OR ANY OTHER DAMAGE TO YOUR COMPUTER EQUIPMENT OR SOFTWARE, THE COMPANY SHALL IN NO WAY BE LIABLE TO YOU AND THE COMPANY SHALL VOID ALL GAMES IN QUESTION AND PAYMENTS (WHENEVER SUCH SYSTEMS OR COMMUNICATIONS ERRORS OR MALFUNCTIONS, BUGS OR VIRUSES ARE DISCOVERED) IN RELATION THERETO AND MAY TAKE ANY OTHER ACTION TO CORRECT SUCH ERRORS EXCEPT THAT THE COMPANY IS NOT REQUIRED TO PROVIDE ANY BACK UP NETWORK AND/OR SYSTEMS OR SIMILAR SERVICES. 14.2 Neither the Company, its affiliated companies or any third party service provider (the “Affiliates“) or its third party licensors shall be liable to You or any third party in contract, tort, negligence, or otherwise for any loss or damage whatsoever arising from or in any way connected with your use or any third party’s use of the Software or the Services, whether direct or indirect, including, without limitation, damage for loss of business, loss of profits (including loss of or failure to receive anticipated winnings), business interruption, loss of business information, or any other pecuniary or consequential loss (even where We have been notified by You of the possibility of such loss or damage). 14.5 In the event that the Software or Services fails to operate correctly as a result of, but not limited to, any delay or interruption in operation or transmission, any loss or corruption of data or communication or lines failure, any person’s misuse of the Website, Services, or their respective content, or any error or omission in content or any other factors beyond our control: (a) the Company, its Affiliates and its third party licensors will not be responsible for any loss, including loss of winnings, that may result from the circumstances detailed in the paragraph above; and (b) if any such errors result in an increase in winnings owed or paid to You, You shall not be entitled to the winnings falling within such increase. You shall immediately inform the Company of the error and shall repay any winnings credited to your account in error to the Company (as directed by the Company) or the Company may, in its discretion, deduct an amount equal to those winnings from your account or set off such amount against any money owed to You by the Company, as permitted under New Jersey gaming regulations. 14.6 Nothing in this Agreement will operate so as to exclude any liability of the Company for fraud, death or personal injury that is caused by the Company’s negligence. (d) any acceptance of any winnings. 16.1 This Agreement shall be in full force and effect immediately upon your completion of the registration process and valid use of the Software with the Company and shall continue in full force and effect unless and until terminated in accordance with its terms. (f) for any other reason Company may determine. 16.3 As the End User, You may terminate this Agreement and your account (including your username and password) at any time by sending an email to us at njsupport@HarrahsCasino.com, such termination is to take effect upon the Company terminating your account (including username and password), which shall occur within 7 calendar days after receipt by the Company of your email, provided that You shall remain responsible for any activity on your account between sending us an email and the termination of your account by the Company. (c) remove and permanently delete the Software from your computer equipment and/or mobile device and destroy all related documentation in your possession, custody, power or control. In the event of our termination of this Agreement on account of your breach of this Agreement (including the Additional Rules) the Company is under no obligation to refund You all the funds that may be in your account, with such funds being forfeited, subject to NJDGE approval. In addition to terminating your access to the Services and/or blocking your account, the Company reserves the right to prevent You from accessing any of the Company’s other websites or servers, or accessing any other properties or services offered by the Company and You shall have no claims against the Company in such regard. 16.7 If You have chosen to close your account – for example, if You have self-excluded yourself from any of our Services, it is your obligation to abide by this restriction for the duration of the set period. If You open new accounts, while under a period of self-exclusion or cooling off, from any of the brands operated under the Company’s umbrella, Company shall close all accounts as soon as detected. Company is not obligated to refund to You any funds You may have wagered or won through such accounts, subject to New Jersey gaming regulations. 16.8 If You have previously self-excluded under our responsible gaming program at any of our casinos or on-line gambling sites or under any state-sponsored program, it is your responsibility to refrain from opening new accounts during the period of such exclusion. Responsible gaming exclusions apply to all Company owned, managed, or operated properties or gambling sites. While Company will take reasonable steps to deny access, it is not obligating itself to prevent access. It is your obligation to refrain from opening new accounts in any of the brands operated by the Company. If You do open any new accounts, We will close all accounts as soon as detected. Company shall not be obligated to refund You any funds You may have wagered or won through such account. 17.6 The Company reserves the right to transfer, assign, sublicense or pledge this Agreement, in whole or in part without your consent: (i) to any entity within the same corporate group of the Company; or (ii), in the event of a merger, sale of assets or other similar corporate transaction in which the Company may be involved in. 17.9 Subject to applicable laws and regulation, the Company may outsource any or all of the Services it provides under the Agreement to third parties. 17.10 Pursuant to State and/or Federal law, You may be required to complete certain tax forms before winnings that exceed a taxable threshold can be released to You. By using the Services, You agree to comply in full with all applicable tax laws, and hereby release Company from any liability associated with your compliance therewith. Notwithstanding anything contained herein, the Services are provided in accordance with the New Jersey Casino Control Act, N.J.S.A. 5:12-1 et seq. and the Regulations of the NJDGE, N.J.A.C. 13:69-1.1 et seq. and the Company’s Internal Controls. 20.3 The Company will not tolerate any abusive behavior exhibited by users of the Service to the Company’s or its service provider’s employees. In the event that the Company, in its sole discretion, deems that your behavior, via telephone, live chat, email or otherwise, has been abusive or derogatory towards any of the Company’s or its service provider’s employees, the Company shall have the right to block or terminate your account with the Company. 20.4 The Company may, from time to time, offer You special promotions. These promotions may be communicated to You by various means, including but not limited to (i) email, (ii) telephone, (iii) SMS text message, and (iv) additional windows opening from within the Software. Promotions begin at 12:01am and end at 11:59 pm Eastern on specified dates, unless stated otherwise in the promotion’s Terms & Conditions. 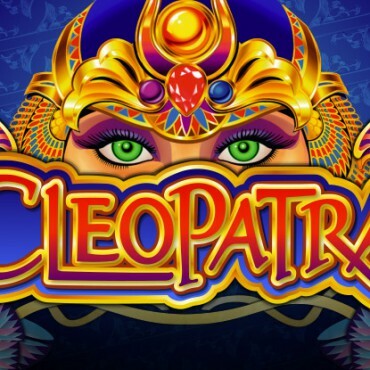 22.1	The non-downloadable version of the casino offering is supported on the following browsers: IE 10.0 and the latest version of Firfefox, Safari and Chrome. 22.2 In relation to the mobile application on the iPhone and iPad, We support version iOS 9.1 and above. With respect to the mobile application on Android we support version 5 and above. 22.3 In relation to the mobile application on the iPhone and iPad, We support version iOS 6.0 and above. The Company reserves the right, for a reasonable period of time, to review your jackpot win to ensure its validity for up to 5 business days. (i) If no further action by You is required to complete the casino game, the final outcome shall be determined by the random number generator. Upon your reconnection to the server, You can view the game’s final outcome by clicking on “My Account”, and then selecting “My History”. (ii) If any further action by You is required to complete the casino game, the random number generator will not automatically determine the final outcome. Upon your reconnection to the server, You can continue to play the game from the point immediately prior to the disconnection. You have 8 weeks from your disconnection from the casino game to complete it. If You have not completed the game by the end of such 8 week period, the game will then automatically terminate and any bets made by You relating to such game shall be deducted from your account.